Leading Manufacturer of slat conveyor from Pune. 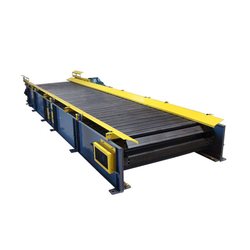 We offer the high-quality range of Slat Conveyor that are extensively used for an assembly line, painting of components and other applications. Our range is also available to fulfill specific client requirements.